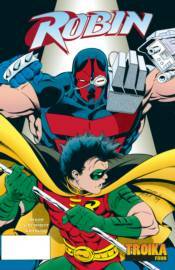 In these tales from ROBIN #14-22 and ROBIN ANNUAL #3, Tim Drake takes on the mantle of the new Boy Wonder! These tales include appearances by Catwoman, Green Arrow and Spoiler, plus ninjas galore! Also includes the 'Contagion' and 'Legacy' crossovers.